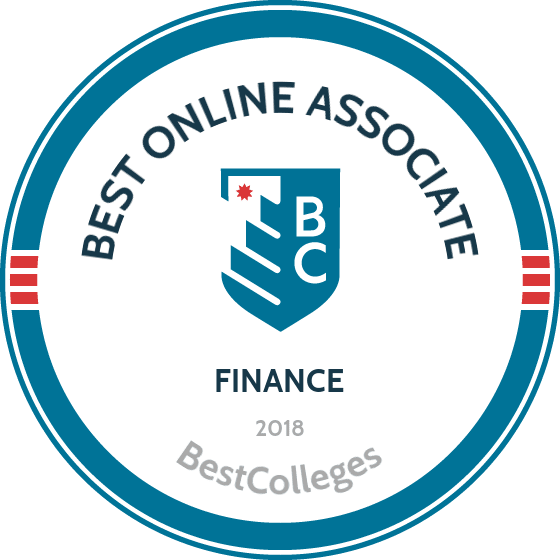 What Are The Best Online Associate in Finance Programs? What Else can I Expect from an Online Associate in Finance Program? What Can I Do With an Associate in Finance Degree? The number of startup companies and global corporations continues to grow each year, and the finance industry serves a critical role in managing the finances of these businesses. Finance is connected to nearly every field; individuals with this degree can work in banks, accounting firms, the finance departments of large corporations, and many other environments. According to the Bureau of Labor Statistics (BLS), jobs for financial managers will grow by 19% over the next few years, which is much faster than the national average. Earning an associate degree in finance online prepares students to enter this diverse and rapidly growing field. Davenport is a private university located in Grand Rapids, Michigan that maintains an extensive online presence as well as a variety of campuses throughout the state. One of the school's most popular online programs is its associate of business administration degree in finance. Graduates are prepared to pursue entry-level positions in finance or continue their education in a bachelor's program. Students can complete this 65-credit program in just two years of full-time study. The curriculum includes 22 credits of foundation business courses on topics such as accounting, professional ethics, and marketing, as well as 22 credits of major coursework on subjects like corporate finance and investment planning. Davenport accepts credits from regionally accredited schools. The school also has articulation agreements with a number of universities, allowing students to easily transfer into a bachelor's program. NHCC is a member of the Minnesota State University system and offers an online associate of applied science in finance management program. This 60-credit program is one of the strongest online associate degrees in finance in the country. The curriculum includes courses on topics such as financial accounting, personal finance planning, and entrepreneurship. This program is an ideal pathway for those who want to pursue a bachelor's degree at another Minnesota school. As a result, NHCC has articulation agreements with programs at Concordia University, Bethel University, Minnesota State University, and the University of Minnesota. Transfer students may apply up to 15 credits of college coursework towards their degree. Online courses are delivered asynchronously, allowing students to complete coursework at their own pace. Most students can earn their finance degree in just two years of full-time study. All applicants must complete a placement test to be considered. Franklin is a private university located in Columbus, Ohio, that has a history of emphasizing adult and continuing education. The school offers a wide variety of professional online programs, including an associate of science in financial management. This 64-credit program includes a 12-credit business core and 12 credits of finance courses, which cover topics such as financial markets and investments. Graduates are prepared to pursue entry-level financial positions in the field or to continue their education in Franklin's bachelor of science in financial management program. Franklin delivers online courses asynchronously in six-, 12-, and 15-week sessions. All online students pay the same tuition rate, regardless of residency. Applicants to this online associate degree in finance must have a high school diploma or GED to be considered. CSCC maintains two Ohio campuses and offers a variety of distance learning programs, including an associate of applied science degree. Students can complete this 60-credit program in just two years of full-time study. Courses are offered in both online and blended formats, and some classes (such as practicum experiences) include in-person clinical or laboratory requirements. Additionally, many courses require in-person testing at one of CSCC's approved testing sites. The curriculum includes courses on a variety of topics, such as investments, corporate finance, and principles of insurance. Students can also enroll in electives on topics such as business communication, conflict management, and business ethics. The school boasts a generous transfer credit policy, evaluating transcripts on a case-by-case basis. CSCC is accredited by the Higher Learning Commission. NACC is located in Bentonville, Arkansas, which is best known as the location of Walmart headquarters. The school maintains numerous satellite campuses and offers a variety of distance learning programs, including an associate of applied science degree in business management with a specialization in banking and finance. Online courses are delivered asynchronously, allowing students to complete coursework at their own pace. Students can complete this program entirely online or in a blended format. Applicants must have a high school diploma or GED and must submit ACT, COMPASS, or ACCUPLACER test scores to be considered. The school does not have a minimum GPA requirement for transfer or freshman applicants. Distance learners have access to a variety of support services, such as online tutoring.NACC is accredited by the Higher Learning Commission. The details of your coursework vary depending on the school and program that you choose. Many finance programs allow students to specialize in a specific area, such as corporate finance, international finance, or investments. Your chosen concentration can affect the overall curriculum and program length. The exact topics covered by your online finance program will differ depending on your school and whether or not you decide to specialize in a particular area of finance. However, most associate degrees in finance have many courses in common. A few of these are listed below. Microeconomics: Microeconomics is the study of how small, individual actions and decisions determine large-scale economics. This class introduces students to the fundamentals of individual markets and resource allocation as well as theories of price and production, competition, labor, income, and household behavior. Coursework prepares students for careers in international finance and market research and analysis. Introduction to Accounting: This course covers the basic theories and practices of accounting, including double-entry bookkeeping and other methods of recording transactions and preparing financial statements. Accounting classes prepare students to work as accountants, business advisers, and analysts. Investments: This class focuses on teaching students how to help individuals, companies, and organizations raise capital. Topics include portfolio theory, selection, and management as well as economy and market analysis. The skills learned in this course prepare students to work as investment bankers, financial managers, and risk managers. How Long Does it Take to get an Online Associate in Finance? While most online associate degree in finance programs take about two years to complete, this time commitment varies based on several factors. If your program features a cohort learning style, which requires students to complete coursework with a group of their peers, you will most likely finish your associate degree in two years. Alternatively, if your program features individually-paced learning, which allows students to complete coursework at their convenience, it may take you more or less time to complete. Additionally, many schools allow students to choose a full-time or part-time class schedule; full-time study usually allows students to earn their associate degree within two years, while part-time enrollment means that it could take three or more years to complete your program and receive your diploma. Earning your degree from an accredited program assures future employers and/or academic programs that you received a quality education. The accreditation process involves a rigorous self-assessment, in which a university examines its programs, faculty, and student success rates to make sure that it complies with certain academic standards. Regional accreditation is the most popular and prestigious type; regionally-accredited schools tend to be nonprofit and degree-oriented. Alternatively, national accreditation is less common and is often awarded to for-profit, religiously-affiliated schools, or vocational and technical institutes. It is important to make sure that your online associate degree in finance is regionally accredited. Additionally, consider looking for programs accredited by the Association to Advance Collegiate Schools of Business (AACSB). The AACSB is one of the top accrediting agencies for business schools and business-related degree programs. Most students who earned their online associate degree in finance continue their studies and pursue a bachelor's or a master's degree in a related field. PayScale reports that, for employees in the banking industry, individuals with an associate degree earn around $10,000 less per year than individuals with a bachelor's degree in finance. Nonetheless, completing an associate degree in finance is one of the best way to begin your studies in this field and can prepare you to eventually pursue a more advanced degree. Bachelor's of Finance: This degree prepares graduates for work in commercial banking, financial planning, insurance and real estate, and investment banking. A bachelor's of finance program typically involves classes that cover micro and macroeconomics, business, marketing, and accounting. Bachelor's of Accountancy: This specialized finance degree often leads to jobs in corporate and individual accounting, accounting information systems, and government accounting. Accountancy coursework includes the study of both accounting and communications. Master's of Business Administration: An MBA is the standard graduate degree for those interested in pursuing an advanced career in business. This degree often lets students specialize in fields such as healthcare, international business, marketing, and finance. While it is common for graduates with finance degrees to find careers in banking, accounting, and business administration, many others pursue work in the fields of healthcare, education, and real estate. If you are wondering whether a finance degree is right for you, keep in mind that successful individuals in this field have strong communication and analytical skills, are detail-oriented, and are interested in learning. This field is also a good fit for resilient individuals who remain calm during stressful situations; the world of finance often involves working in a hectic environment. These professionals help businesses and individuals make good investment decisions. Financial analysts gather and analyze data and assess the current statuses of stocks, bonds, and other kinds of investments. Similar to financial analysts, accountants help both businesses and individuals navigate their finances. Some of their duties include ensuring the accuracy of financial records, helping clients pay taxes, and evaluating financial transactions to help businesses run smoothly. This type of advisor helps clients manage their taxes, investments, mortgages, college savings, insurance, and retirement funds. They typically inform clients about the risks and benefits of investments and various financial options. Payroll or financial clerks work with businesses and organizations to ensure employees are paid properly. These professionals prepare paychecks, record work hours and payroll data, and calculate wages and deductions. Real estate agents help their clients sell, buy, and rent residential and commercial properties. A finance degree can be helpful because these professionals often analyze business plans or individual finances and advise clients about buying property. While most finance professionals eventually earn their bachelor's and master's degrees, there are several entry-level jobs that individuals with an associate degree in finance can access. The table below presents median salaries for five different careers in the field of finance, including information about how these salaries change with experience. Many students rely on scholarships, fellowships, grants, loans, and work-study opportunities to pay for their online associate degree in finance. There are also several scholarships designed for finance students, such as the AXA Achievement Scholarship, J.P. Morgan's Launching Leaders undergraduate program, and scholarships from the American Institute of CPAs. In order to better understand the funding opportunities available to you, be sure to to fill out the Free Application for Federal Student Aid (FAFSA) form.